Has your dream been to learn to play an instrument? Have music lessons been an interest you were too busy to start? Perhaps music is a hobby you enjoy or maybe you are simply looking for a more experienced teacher. Whatever the reason, here at Contreras Music we are passionate about our music education. Whether it's just for fun, competitions, HSC, AMEB, Eisteddfods, or anything in between; we can help you reach your musical goals. Our secret is quality pedagogy, experienced teachers, and modern studios. Are lessons in groups or private? For the benefit and convenience of of our students, we choose to dedicate our entire time and energy towards your musical education. This is why lessons are run on a private one to one basis instead of a group setting. You see, whilst group lessons may be a little easier at first, they do split the attention of the teacher into 5 or sometimes 10 different students, all learning at different levels. Hence if you excel or are falling behind you may find yourself being left out or bored within a group scenario. Our teachers dedicate their entire attention to one student at a time, much like a doctor does with his patients, in order that they may get the most out of each session. You will find that students who learn with a private instructor will always learn faster and more effectively than those within a group. You will also find that lessons, repertoire and levels are tailored to suit the individual student when in a private setting. When is the right time to learn? The perfect time to learn is always right now! Putting lesson off or waiting for a better time is never the right answer as life will always get in the way. Taking the initiative and booking in your first trial music lesson is an important step, and one that you will never regret. You see, it all depends on the student’s individual age, ability, maturity and talent for music. Children as young as 4 have come in and experienced a wonderful music lesson with our teachers at Contreras Music. Primary school student and teenagers have learnt new skills which helped them develop confidence at school, and social skills essential for healthy relationships. Adults of all ages have also seen many benefits from their lessons such as improved memory, heightened focus and personal growth. Our oldest adult students have been in their 60’s, and they found lessons to be enjoyable and meaningful. Adults, teenagers, and children of all ages and abilities have experienced many benefits from starting their musical journey with us. So don’t put it off any longer, become a happy and talented music student today. All ages, backgrounds and levels welcome! What type of music do you teach? Just as our founder, we are eclectic when it comes to musical tastes. We enjoy teaching our students the music they enjoy. Whether you are a fan of pop, digger of Jazz, classical enthusiast, or anything in between; we are ready to show you how to learn your favourite style. Simply tell your teacher which style you prefer and they will be more than happy to customise your lessons to suit your interests. Do you only teach Piano? Of course not. Once again, our eclectic tastes have driven us in the search for experts teachers in a variety of instruments. Students of all ages and levels are welcome to try any of our following instruments. We currently teach bass, guitar, keyboard, vocals, drum kit and composition. Book in a free trial lesson and try it out for yourself. Expert teachers, Quality teaching programs, modern facilities and personal service. We are so confident that you will love learning with us that your first lesson is our free gift to you. Additionally we have convenient lesson hours, are easy to find, have modern sound proofed studios, and free WIFI. Please call us on 0405 9822 71 to schedule a free introductory lesson. We are currently servicing Western Sydney and beyond. ​Sunday Even great musicians rest! ﻿Absolutely everyone can learn to play a musical instrument or take lessons for the very first time, regardless of age or ability. Talent belongs to those who pursue it, and we believe everyone has the potenti﻿al to improve. 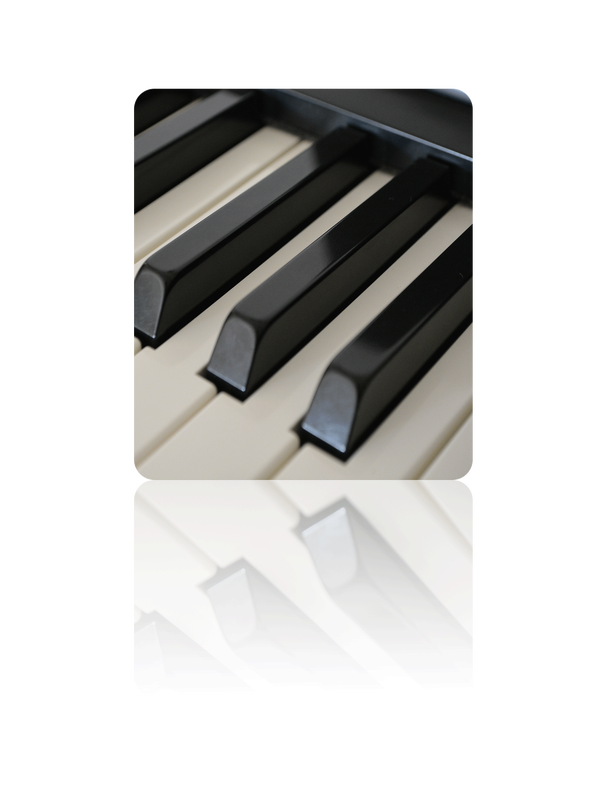 Our job is to unlock and develop your hidden potential, which is why we offer the best music lessons, piano lessons, guitar lessons, singing lessons, drum lessons, and bass lessons. Visit Contreras Music and experience our difference today!